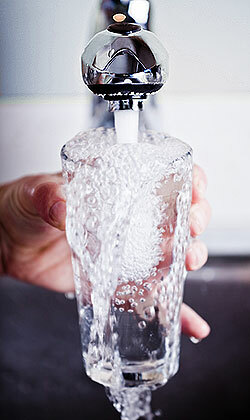 The main purpose of the Drinking Water Program is to reduce or prevent contamination of public drinking water supplies throughout Jackson County. Duties include conducting water system surveys, compliance, sampling, respond to maximum contaminant or bacteria violations, and ensure corrections and follow-up sampling. An excellent comprehensive resource regarding Oregon drinking water. You can find out practically anything you want to know about drinking water through this site! Includes plan review requirements for drinking water systems. Access well log information throughout Oregon. Obtain information about specific public water systems throughout Oregon. You can find data on coliform testing, chemical testing, contacts, violations, enforcements, public notices, and basic system information. Get information about drinking water contaminants, health effects, and corrective measures. Find basic information on private and domestic wells.